Our restaurant Tonkotsu is named after the lip-smacking, creamy ramen typical in Kyushu, Japan’s southern-most island, but found all over Japan. 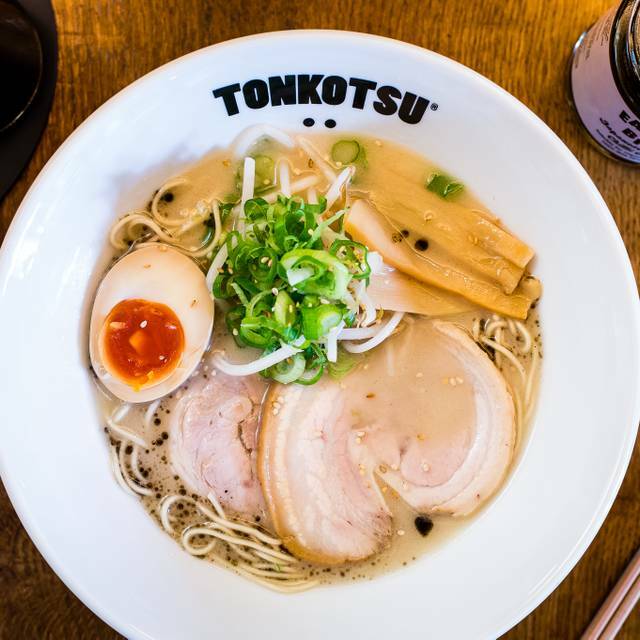 Tonkotsu ramen’s smooth, silky consistency is created by cooking pork bones for up to 18 hours, which allows collagen and other porky goodness to be emulsified into the stock. Japanese version of crab croquette with lemon. Namasu is a type of Tsukemono, Japanese pickle. Amazing food and generous portions. Very patient and friendly service. Delicious ramen. The food here is so worth it and very cheap for how much you get. Only downside is that it was very empty - it was a Wednesday and early but a bit more atmosphere would have been nice! Menu isn't overlong, which is always a good thing, and it's just all really, really tasty! Nice location near the Tate for a meal nearby. Got the Tonkatsu Ramen & there are nice vegetarian options for my boyfriend as well. Really nice venue with good food and attentive customer service. Tasty ramen. Always reliable. They had a Christmas offer which the waiter was a little slow to understand and the bathrooms were not that clean but this is a good option for a quick tasty affordable meal. Amazing food, wonderful polite kind staff and quick service. The food was so good im thinking about it a week later !!! We went here pre Theatre and had a selection of the sides rather than the ramen. The chicken Karage and the gyoza were great. Washed down with a lovely Japanese larger. Enjoyed the ramen, great noodles. Good miso mushroom ramen. Gyoza not amazing but good. Good little caf style Japanese place. Staff friendly, helpful and attentive. Food was good and I would certainly go back if the opportunity arises. Good value. Very tasty Ramen. Good value. Would recommend for a nice easy weeknight meal. Good ramen but it’s not cheap and many mistakes in service - a vegetarian was served shrimp and our order was incorrect. I was then overcharged for a drink! Excellent food and good service. 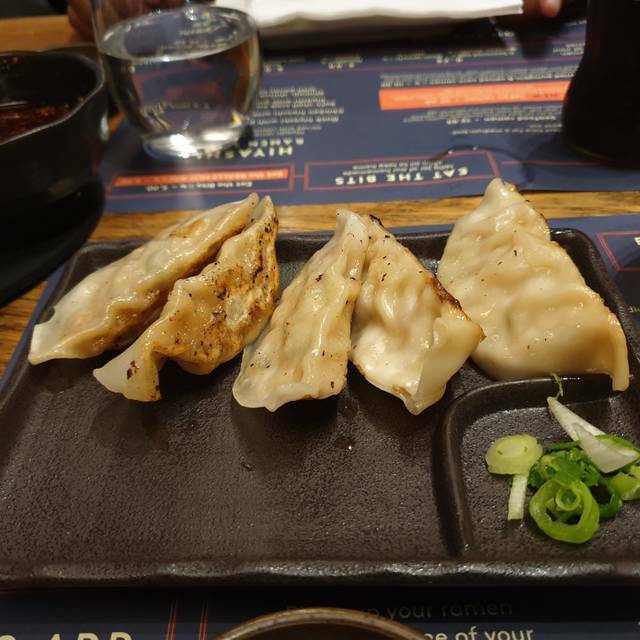 Really enjoyed the Gyoza! The ramen we had were fine, but not really any better than any other ramen at any other Asian food outlet. To be perfectly honest, I didn't think it was all that much better than some of the better instant noodles I've had in the past. Service was good and quick, and the gyoza for starters were nice, but we were underwhelmed by our ramen. Not a bad meal to warm you up on a cold rainy day like we had, but not a massive draw otherwise. Got there a bit early so had some drinks outside - we were given some free edamame with our drinks. The table didn’t become a available until 15 minutes after our reservation time, but the waiter was amazing, so nice and friendly, and gave us 15% off as a good gesture. I have loved going to tonkotsu for years, but love it even more now! 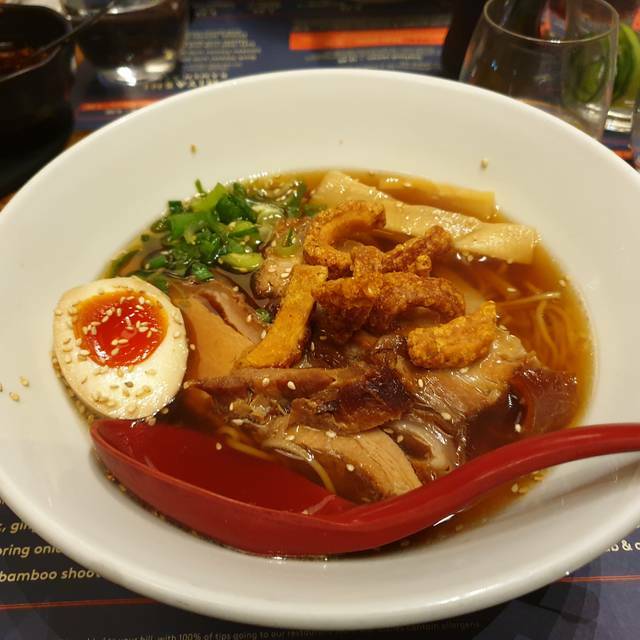 First dinner in London was at tonkotsu and we weren’t disappointed! Enjoyed the ramen! Delicious gyoza too!! I will suggest, whatever you do, if you visit this place, do NOT order the seafood ramen, you might regret it. No further comment. First time at Tonkotsu on Canvey Street. Nice neighborhood vibe. Ramen special highly recommended and the prawn gyoza delicious. We will definitely be returning. Awesome ramen, simple as that! 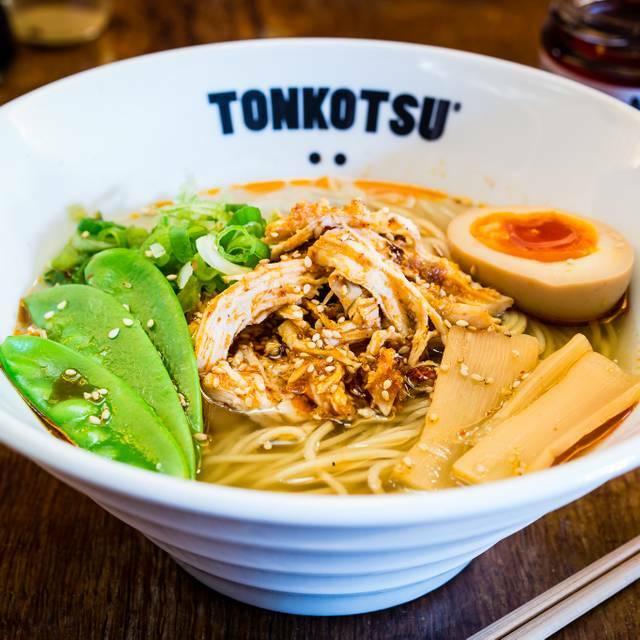 For a restaurant that specialises in ramen, Tonkontsu serve up something more like dirty dish water. The ramen is weak in flavour, watery and clear, and was the least enjoyable bowl of ramen I've ever had. The ambiance was also unappealing with an oily smell that sticks to you after leaving, and stark fluorescent lighting that makes the dining area feel clinical. The service was the only thing that we liked about the restaurant, but was the least important aspect to enjoying the dine when the food tasted so bad. I would not return and do not recommend Tonkotsu. 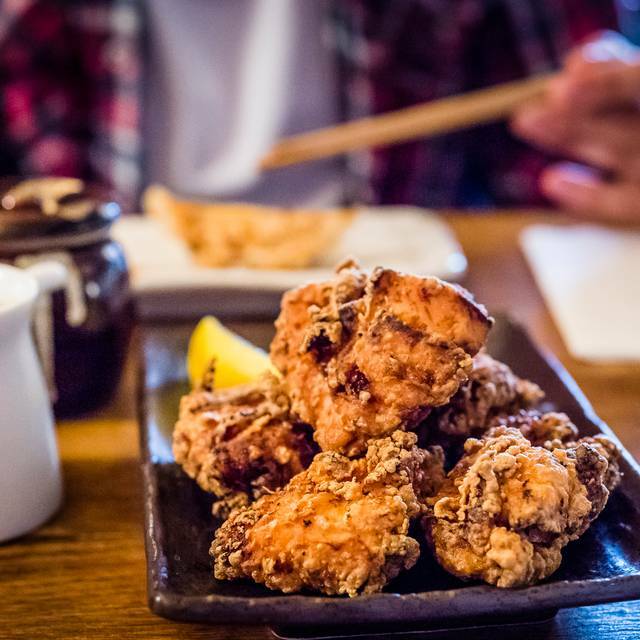 There are far better restaurants that do a brilliant job when it comes to perfecting the traditional flavours and textures of ramen, with a warm and moody ambiance. Was already familiar with this chain but never tried this branch off the beaten track. Such a pleasant surprise. Great ramen as expected but without the queue for a table. Service was simply excellent - waiter advised on wines too (becoming a rarity in more luxurious restaurants). Recommended! So delicious! Had a lovely evening with friends, left very full and happy! Tonkotsu Ramen are a solid option. We tried some of the starters too and they were very good! Very underwhelming food. The ramen broth tasted more of fat than anything else. Korean chicken wings were over battered. There are better ramen places. Amazing handmade ramen dish! 100% recomended. Amber Japanese beer is very good as well ( caramel flavour ). Food was as good as other Tonkotsu outlets, although the atmosphere is a little cold. Very quiet for a Friday night. Not much choice for food (mainly ramen) but they were lovely and perfect for a cold winter evening. Would be good if the chicken kastu curry can be extended for dinner. Great standard - and genuine in terms of similarity to Ramen in Japan! The only downside was there was an unpleasant smell of grease - which I'd expect at fast food places, not a restaurant. Good ramen! However did not receive my dining points !! I liked the ambiance. The service was good, too. The menu is quite limited and the servings very small for the price. I went expecting to discover an nice, new place which is very conveniently located. I am unlikely to return, unfortunately.